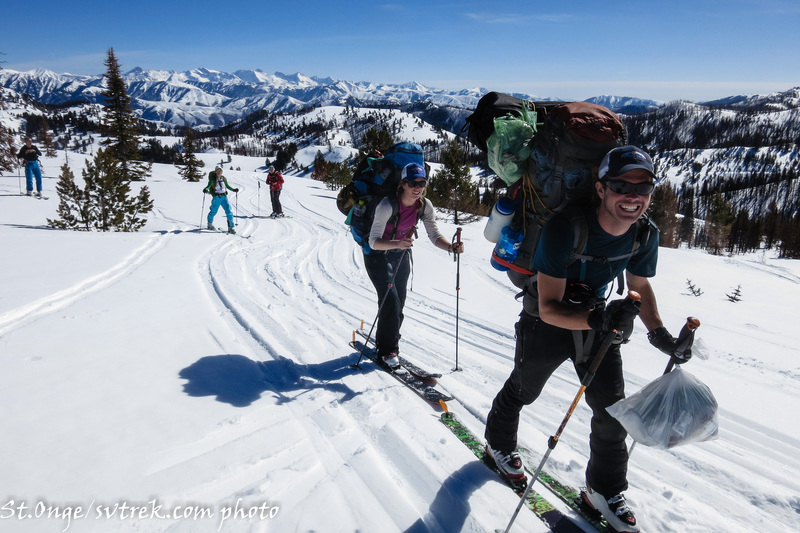 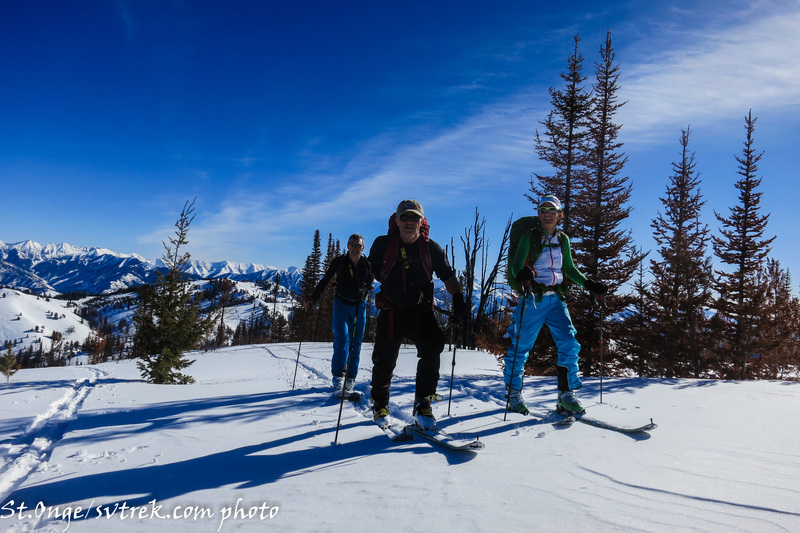 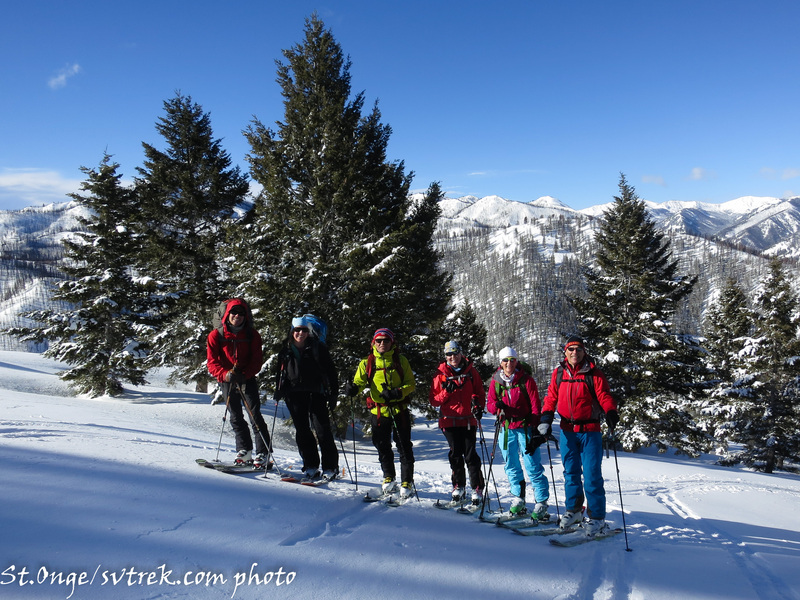 Sun Valley Trekking is an amazing operation, the ski terrain is beyond belief, the Yurts are totally awesome, we had a wonderful trip. 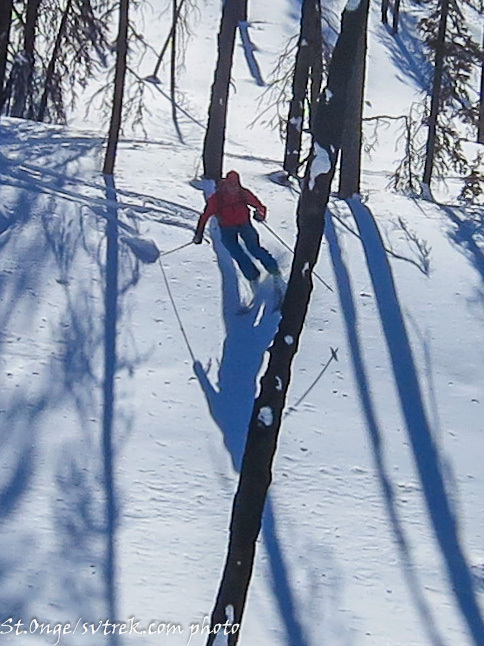 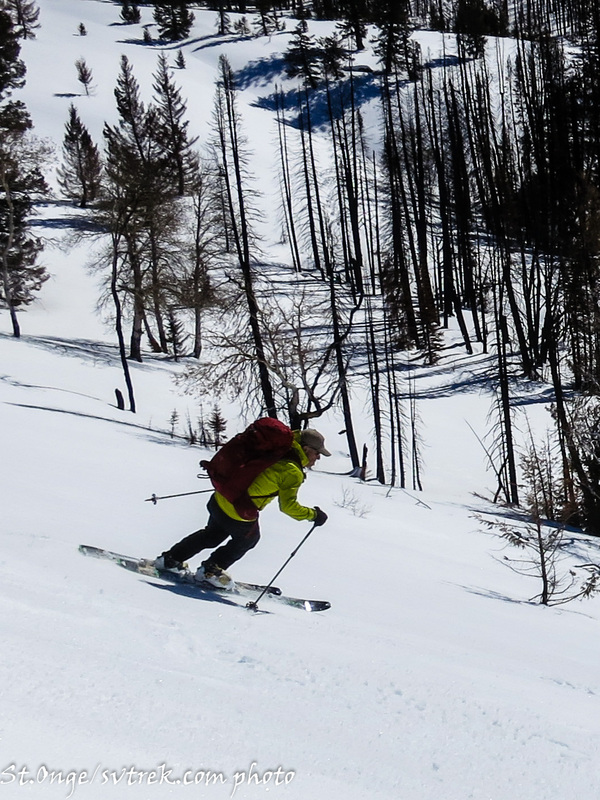 The comfort of skiing with a top notch professional guide makes the trip all the more special. 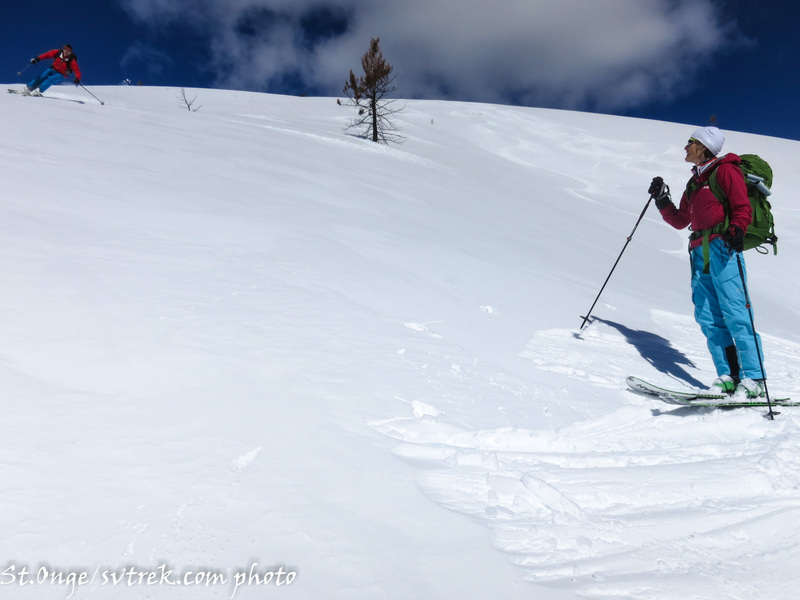 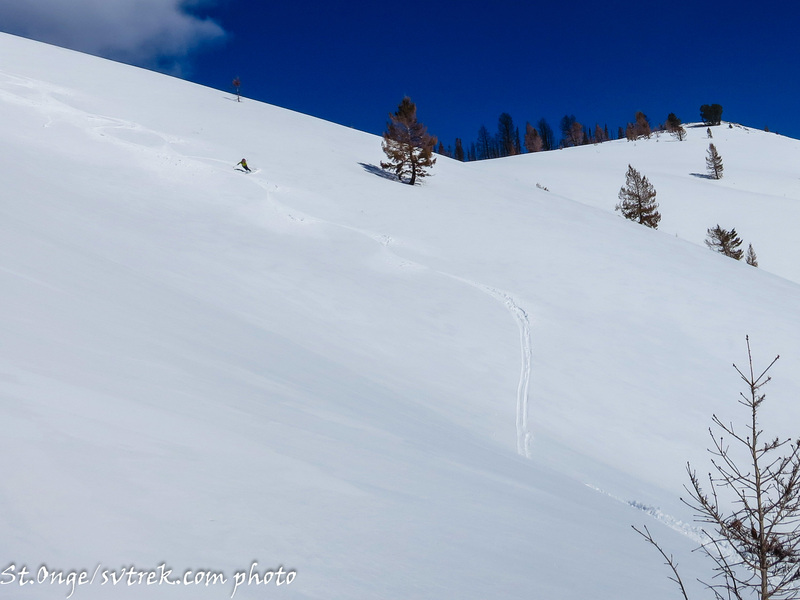 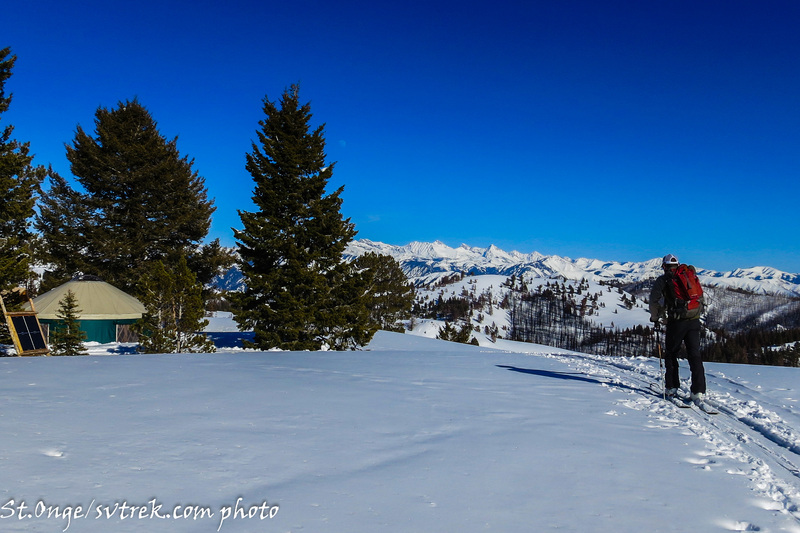 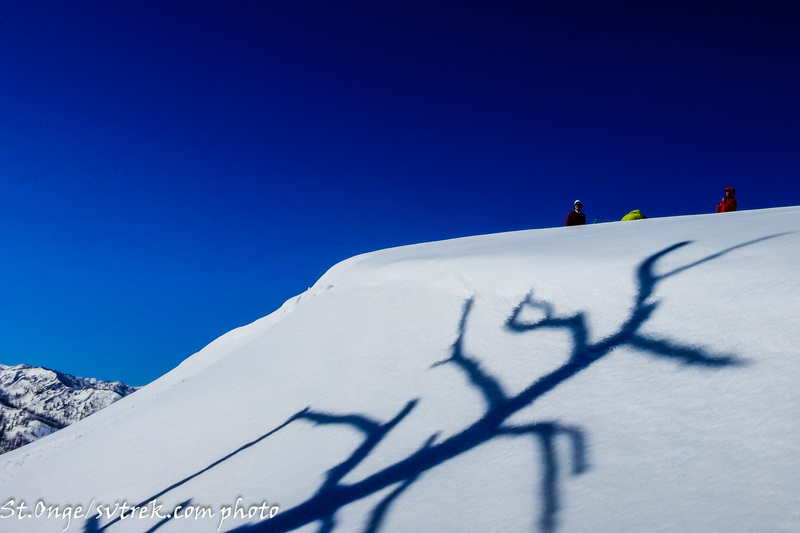 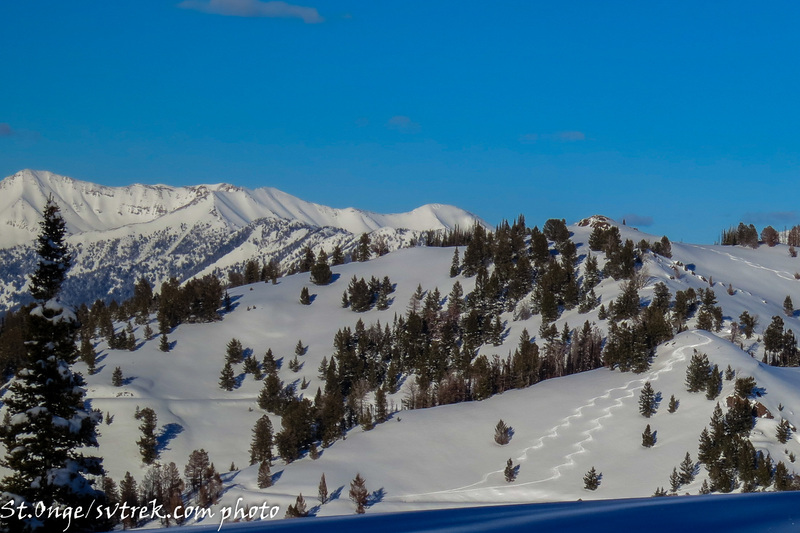 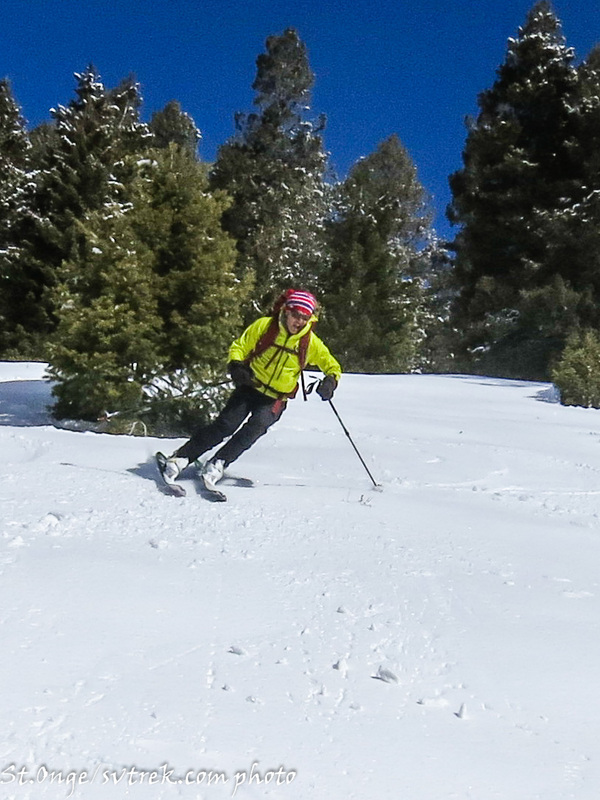 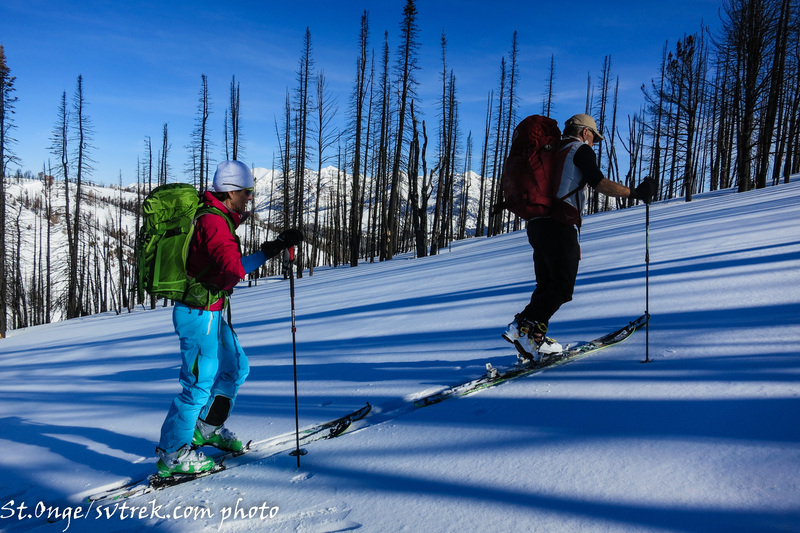 And all of this amazing skiing right here in our own back yard….how cool is that? 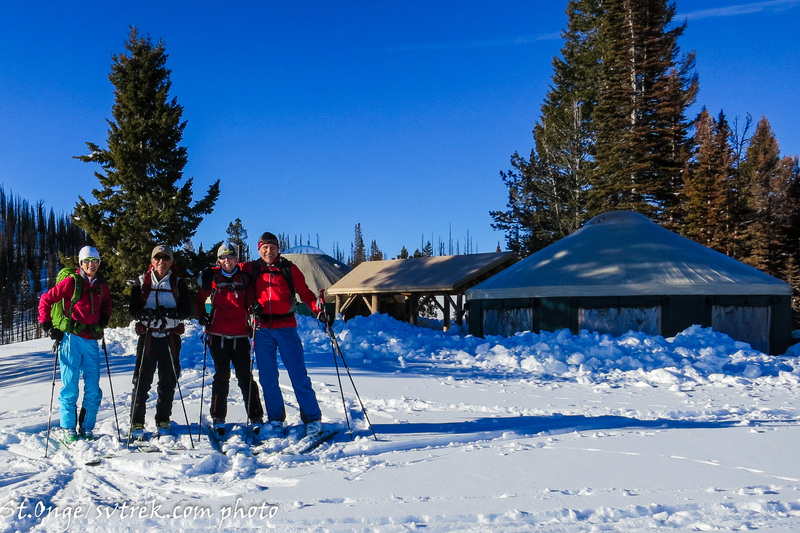 Thank you Joe and Francie…..The Rossos’ ! 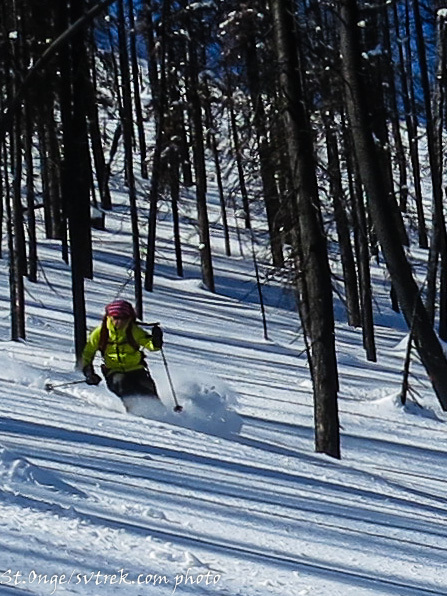 So much fun in the sun and snow. 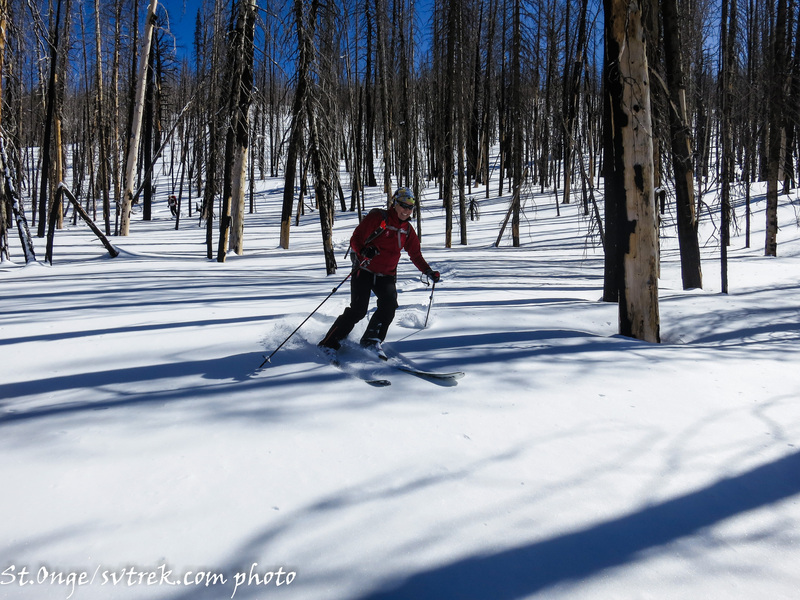 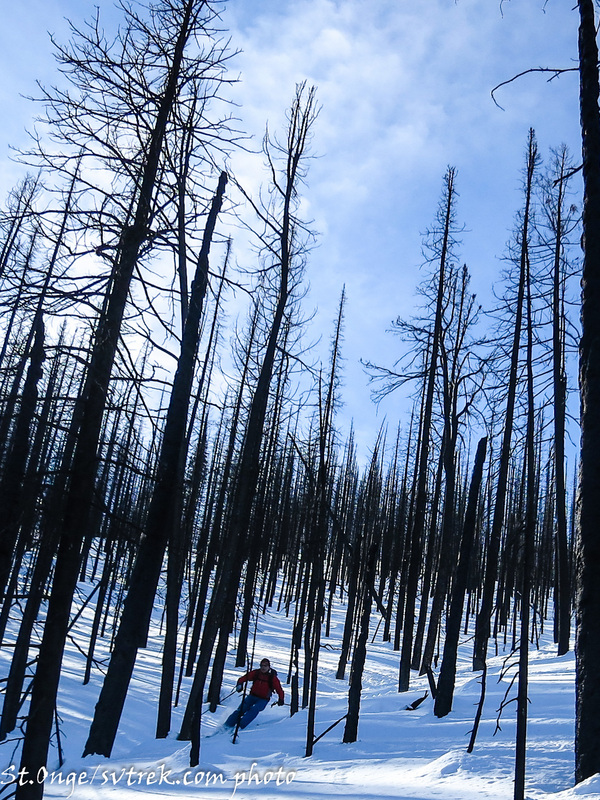 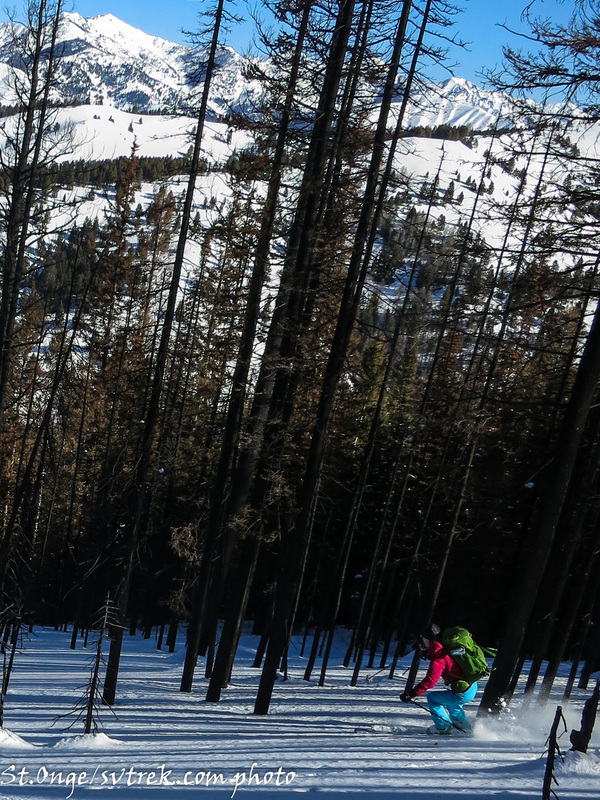 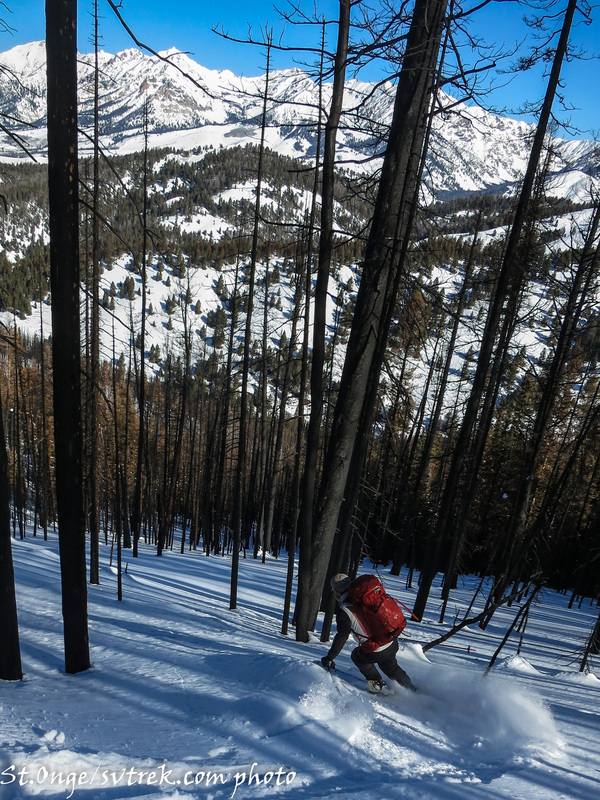 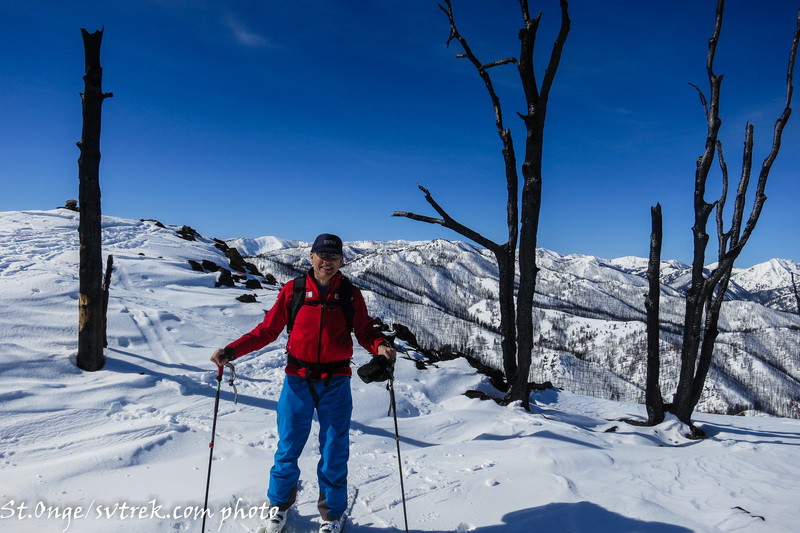 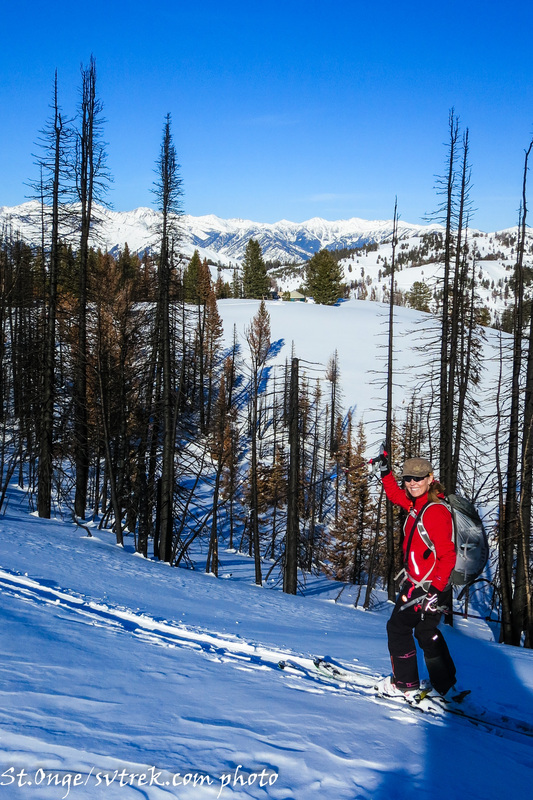 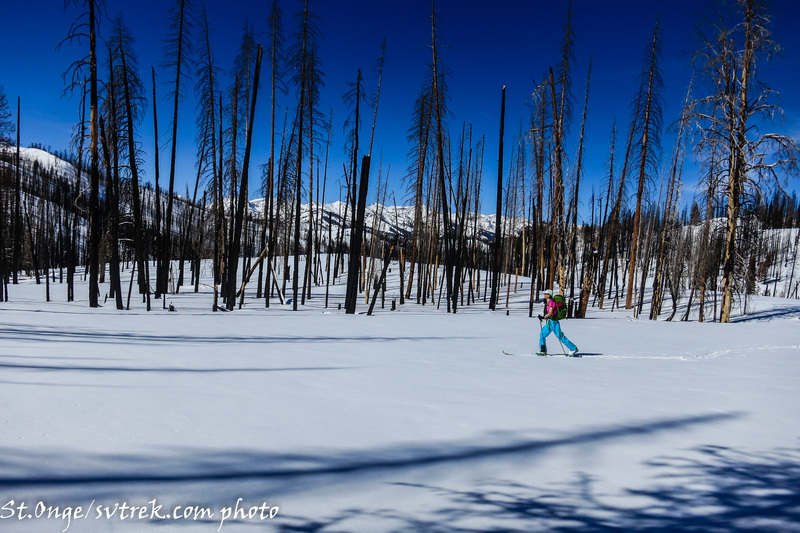 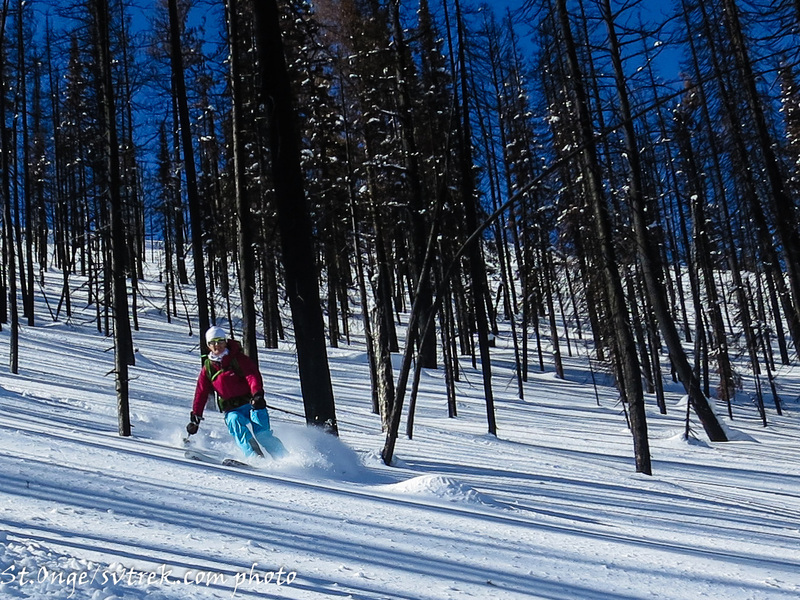 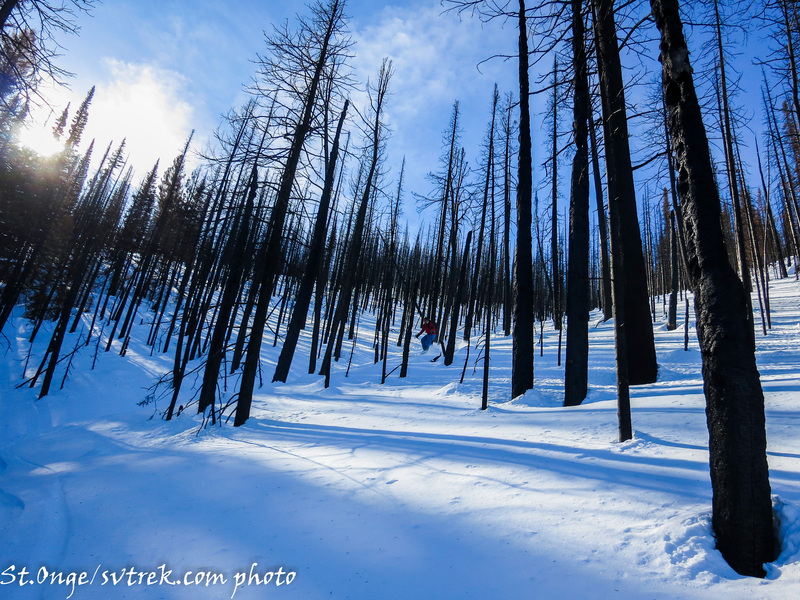 The Baker Creek burn is strangely beautiful, tree skiing has a whole new meaning for me. 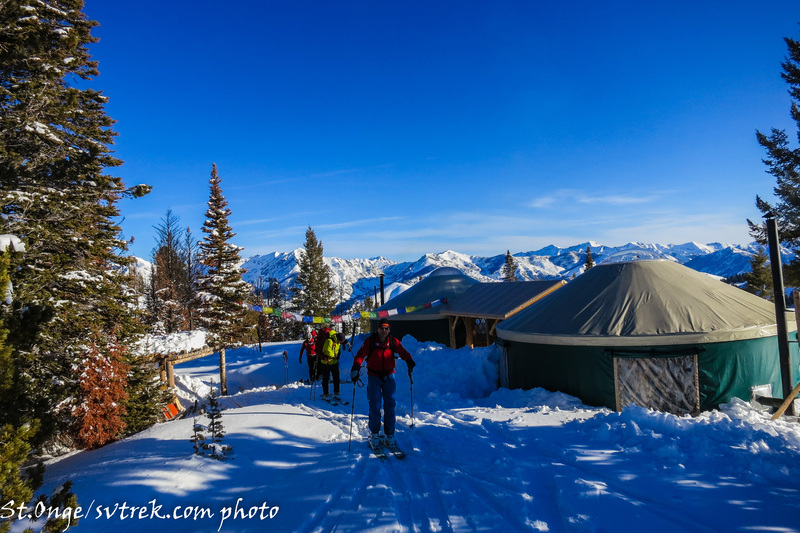 The new Coyote Yurts are spacious and comfortable, coupled with great friends and delicious food, powder and corn everyday it was an amazing three days. 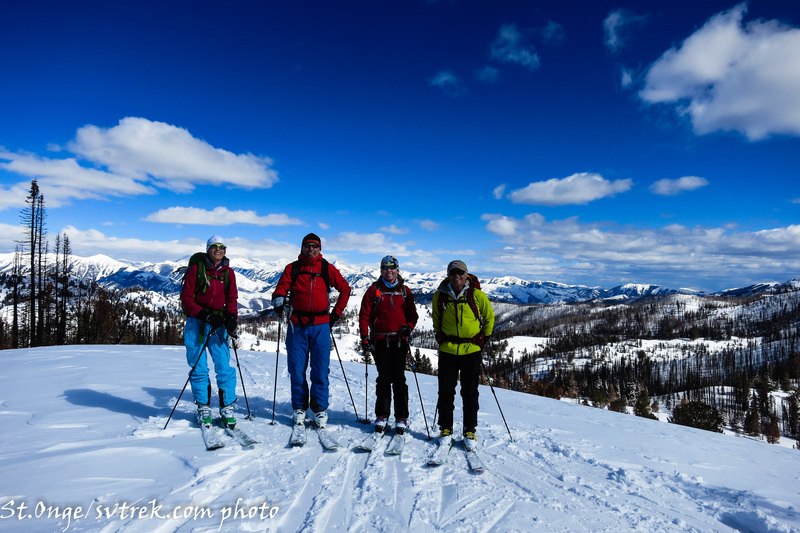 Thank you to Joe and Francie and their team of apprentices. 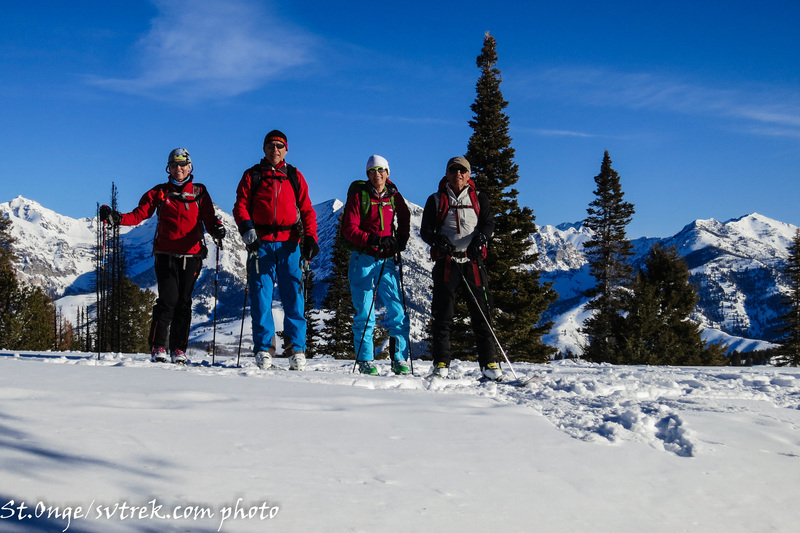 Best Regards Team Canada, Sheri and Bernard.